A new cocktail competition, the Australian Gin Cocktail Cup, has been announced. 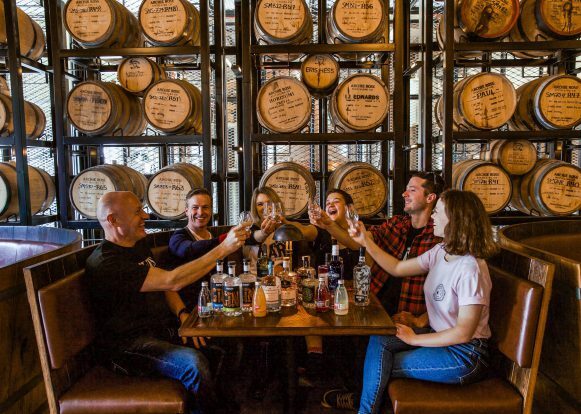 The Cup aims to showcase the best bartenders in the NSW liquor industry, and is an adjunct to the Australian Gin Awards and Gin Palooza – both of which will be held in March 2019. Entrants into the Cup are invited to create an Australian gin-based cocktail – using a gin from the selection of the Sydney Gin Palooza’s distillers – along with six complimentary ingredients. A recipe and accompanying short video will need to be entered by 5 November 2018, when entries close. Well-known gin expert and owner of The Barber Shop and The Duke of Clarence, Mikey Enright (pictured above), will be the Chairman of this year’s competition. “This competition will not only give some independence to the bartender but also potentially create more awareness of the Australian Gin market,” Enright said. Along with Enright, the judging panel includes Harriet Leigh (Archie Rose), Andy Penny (Stanley’s Darlinghurst) and hospitality industry mogul Jason Crawley. The winner of the Cocktail Cup will be awarded a three-day trip for two to Tasmania, where they will meet distinguished local distiller Bill Lark among other notable distillers. Travel, car hire, accommodation and spending money will also be included, thanks to Fever-Tree, the Cup’s key sponsor. The winning cocktail will be replicated and served to all guests at the Trophy Presentation Dinner for the Australian Gin Awards on 7 March 2019. It is here that the successful mixologist will be officially crowned as the ‘2018 Australian Gin Cocktail Cup Champion’. For more information about the Australian Gin Cocktail Cup, and to enter, click here.